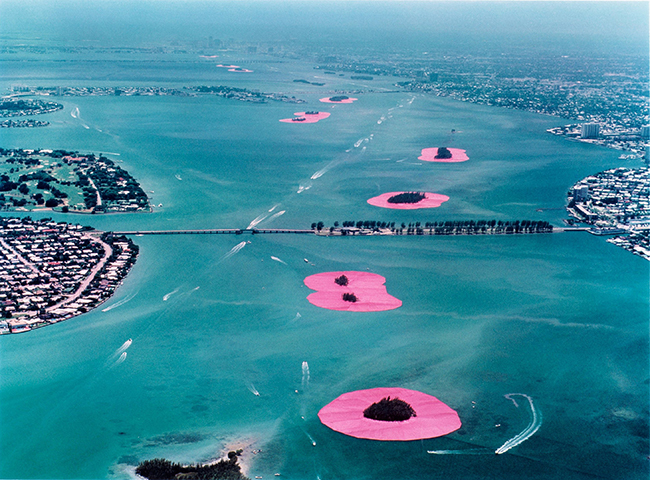 This project from 1983 pays tribute to the characteristics of life in Miami, between water and land. 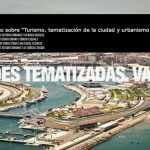 The work complements the environmental conditions in which it is located and achieves that the islands become the protagonists of the city during two weeks, attracting the attention of both locals and tourists who went to Miami to visit the controversial work. 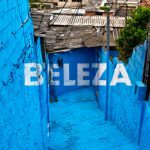 Moreover, the project entailed the collection of forty tons of garbage from the surroundings of the islands. 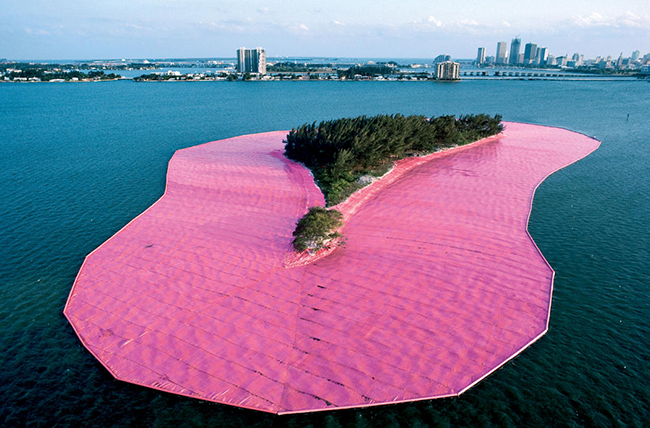 “In 1983, eleven of the islands situated in Biscayne Bay, Greater Miami, were surrounded with 6.5 million square feet (603,870 square meters) of floating pink woven polypropylene fabric covering the surface of the water and extending out from each island into the bay. 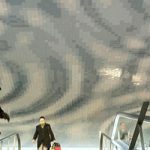 The fabric was sewn into 79 patterns to follow the contours of the 11 islands”. 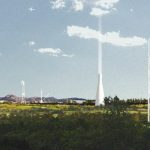 Two years earlier, attorneys, biologists, ornithologists, mammal experts and marine engineers started to work on the project. Also as part of the preparation during that year, “the marine and land crews picked up debris from the eleven islands, putting refuse in bags and carting it away after they had removed some forty tons of varied garbage”. 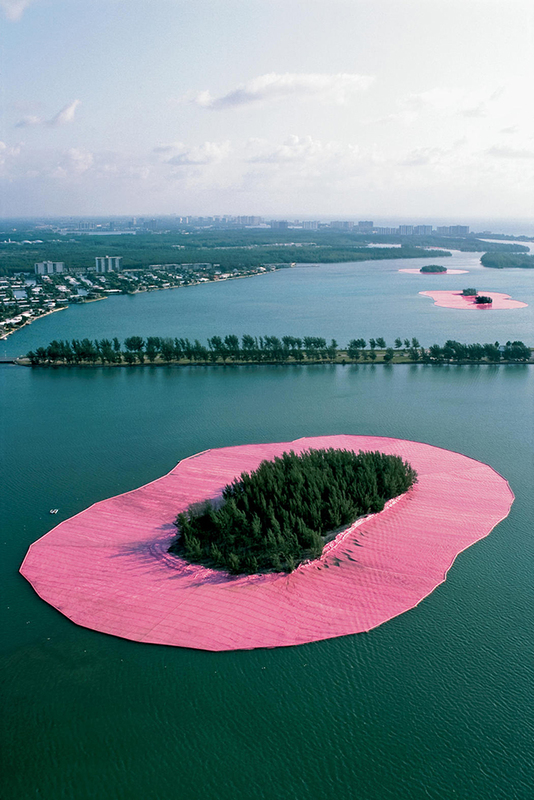 “On May 4, 1983, out of a total work force of 430, the unfurling crew began to blossom the pink fabric. 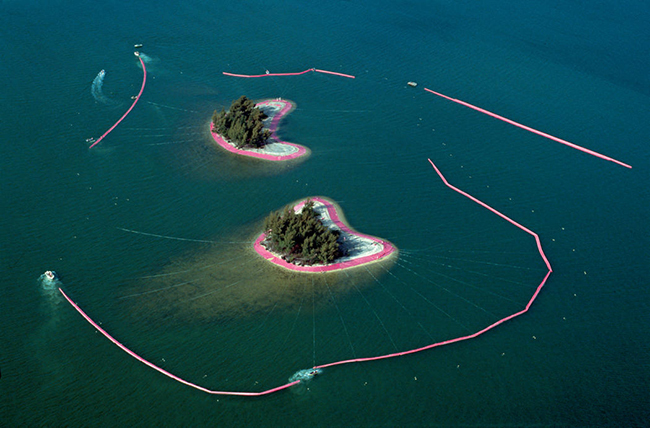 Surrounded Islands was tended day and night by 120 monitors in inflatable boats”. 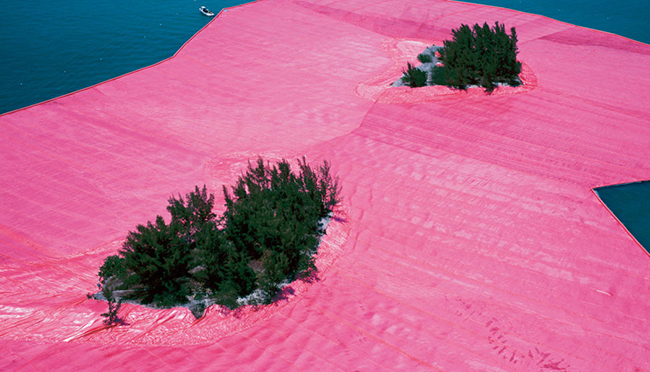 Three days later the installation was completed, covering the eleven islands. 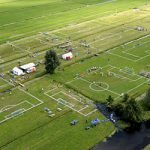 “For two weeks, Surrounded Islands, spreading over 7 miles (11.3 kilometres), was seen, approached and enjoyed by the public, from the causeways, the land, the water and the air. 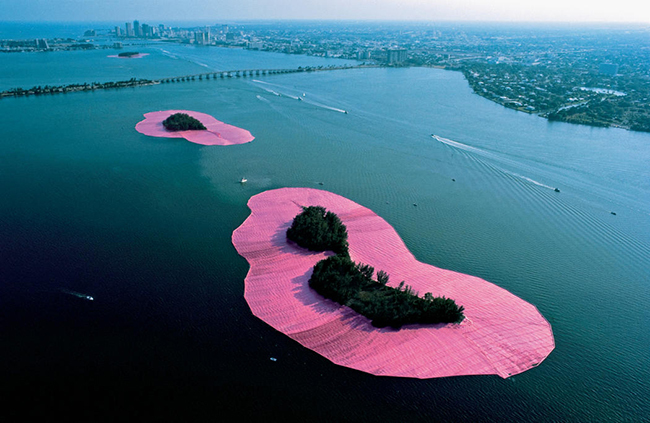 The luminous pink colour of the shiny fabric was in harmony with the tropical vegetation of the uninhabited verdant islands, the light of the Miami sky and the colours of the shallow waters of Biscayne Bay”. 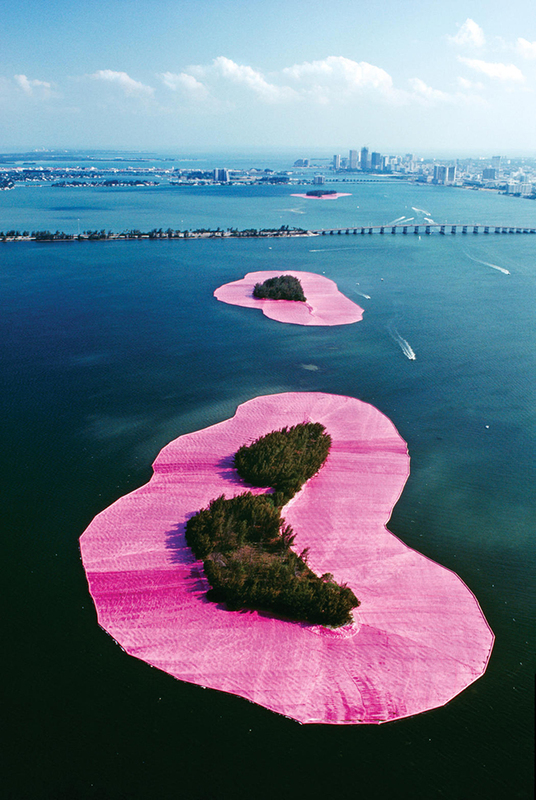 “Surrounded Islands was a work of art underlining the various elements and ways in which the people of Miami live, between land and water”. 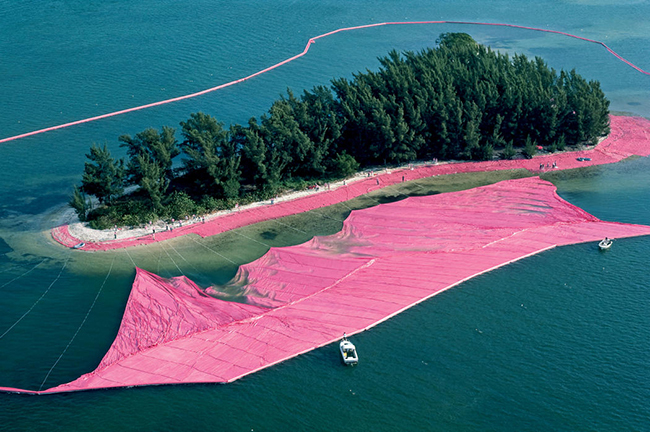 “I had visited Miami earlier, and was very influenced by the flatness and horizontality of the landscape; also the way earth and water mix gently here”, said Christo more than three decades ago.